Pluto is foremost the story of the murders of several robotic AIs. These artificial intelligences struggle with balancing their self-awareness with the shackles of their programming. In a way, Urasawa may even be trying to tackle, in some remedial way, questions of liberty vs determinism—something all those with any interest in metaphysics must come up against at one point or another. From another angle, these robots’ lives spell out the same conflict that MT Anderson homes in on in his wonderful Astonishing Life of Octavian Nothing: the question of liberty and property; how can those who rally behind freedom, democracy, and liberty keep sentient beings as property. 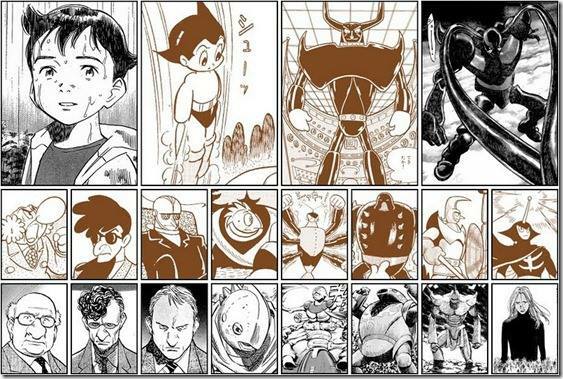 Where Urasawa excels so ably is in making his robotic characters so human, so other-than-human, and so worthy of compassion in either case. 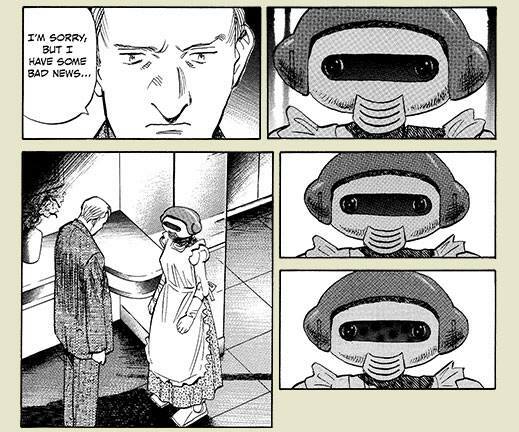 There are moments for several of these robots (whose narrative destiny, set in stone fifty years ago by Tezuka himself, is to be destroyed) at which the average reader may very well need to take a moment to regain composure. We are never not aware of these characters’ non-human status and the fact that they are creations of man, but all the same they become valuable recipients of our cares and well-wishes. 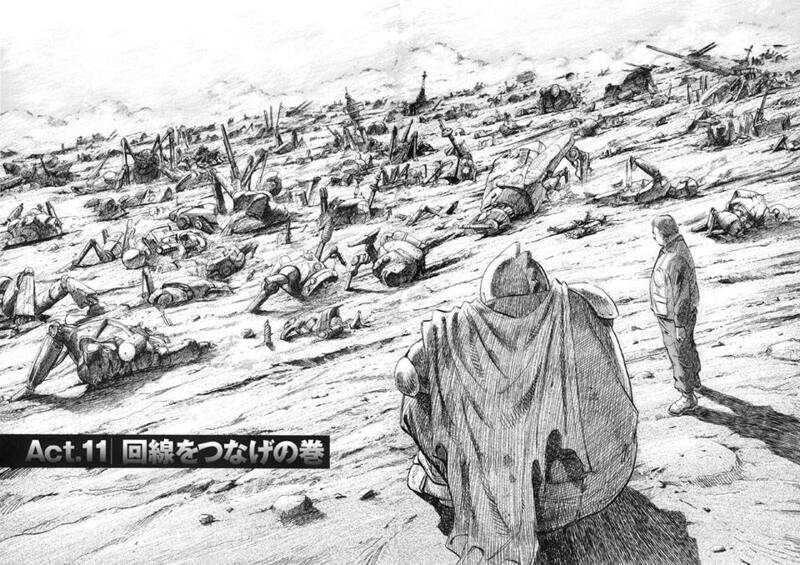 And it is through that marvelous narrative inducement toward empathy that Urasawa sells his point home. He requires the reader to consider the what-ifs of his scenario. Ignoring plausibility for a moment, he not only raises the question of artificial personhood but also gives the reader a reason to care about that question. 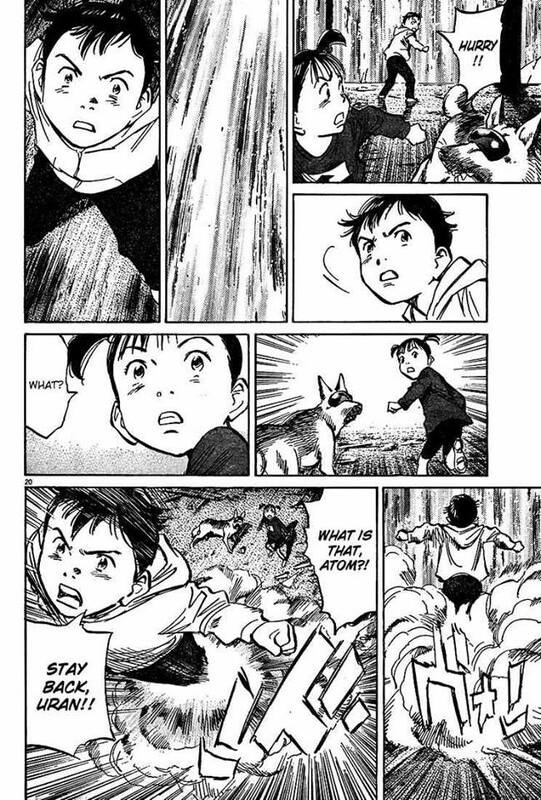 Adam Hines attempted something similar in Duncan the Wonder Dog, by actually giving personhood to animals; but as much as I laud Duncan as probably the pre-eminent work of comics fiction, I believe Urasawa pulls this particular thing off much more adeptly.2 It’s difficult to balance the humanity and inhumanity of these characters in a way that makes them both comfortable and alien, but Urasawa succeeds. Pluto, against odds, is neither too heady nor too treacle nor even too plot-driven. And for a book structured as a detective thriller, that’s some achievement. Pluto is only eight volumes long and is therefore much more tightly plotted than either Monster (18 vols.) 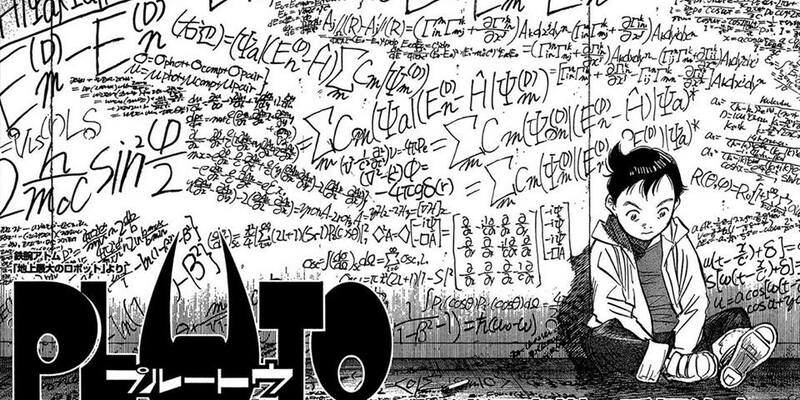 or 20th Century Boys (24 vols). It’s a good read and gives the reader opportunity to think about a number of fascinating subjects, all while carrying on a murder mystery/thriller. 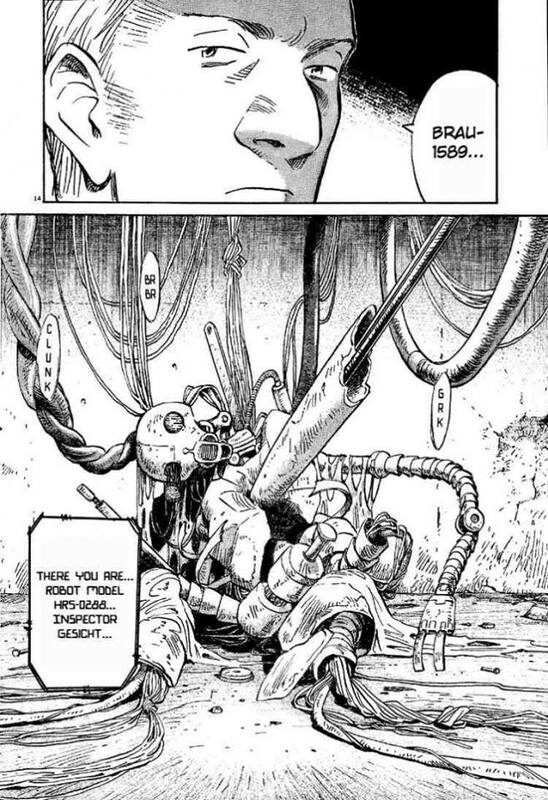 For a series that (at its most basic and dumbed down) is a book about a series of robot fights, Urasawa wisely shows very little actual robot-on-robot combat. He knows what’s interesting and fighting robots is not quite that. Pluto is an investigation of emergent technologies, an investigation of the toll of contemporary international policies, and an investigation of the nature of the soul.